First and foremost Cadillac launches huge 6.2 LT4 V8 engine that was originally set in Covertte Z06. Somewhat less power is due to the lubrication system, which is somewhat changed in the CTS model. It is not the first time that manufacturers ensure that their new products are ready to meet with German rivals, so that only a promise is not nothing. This time, it looks like the CTS V on track, with 640hp he is stronger than the BMW M5 and Mercedes E63 AMG. Even top offers BMW M5 Competition Package and Mercedes E63 AMG S, comes with “only” 575 and 577hp, which is 63hp less than the new CTS-V models. However, the differences are not significant only under the hood. 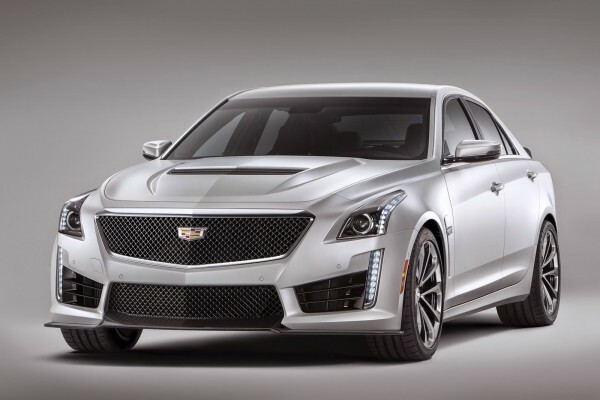 Much of the 2016 CTS-V model is promoted and redesigned. From Cadillac say that management and improved to 25% compared to the standard model, and the CTS-V lighter 23hp with a total weight of 1880hp. Most of the weight is taken off the wheels, so that the Michelin Pilot Super Sport tires now stand at 9.5 rota wheels front and 10 rear rota. Sophisticated suspension system is the last detail that enhances the 2016 CTS-V. Third-generation Magnetic Ride Control, which can be found on the 2015 Camaro Z / 28 model, creates a special feeling when driving over rough road and cornering. The whole trap is promoted, there are new anti-roll systems, management with a better response. In the end, Brembo brakes all round. 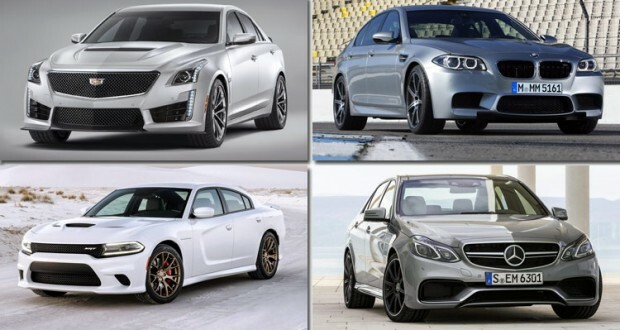 2016 CTS-V is lighter than the 2015 BMW M5 models, as well as of the Mercedes AMG W63 S. While the BMW lacks the power, and heavier, M5 does have impressive Launch Control, which leads him from 0-60 mph (0-100 km / h) in 3.7 seconds which is the same as the CTS-V models. Mercedes on the other hand delivers power to all four wheels, and accelerates to 0-60mph (100 km / h) in a staggering 3.4 seconds. BMW M5 is better than the CTS-V model in other areas, and one of them is braking. 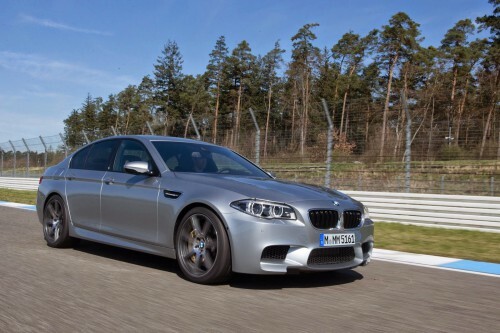 The massive carbon ceramic discs ensure that the M5 stops in the shortest possible space. For now there is no information on the ability of braking CTS-V models. In addition to the heavy competition from Germany, the CTS-V will have problems at home. 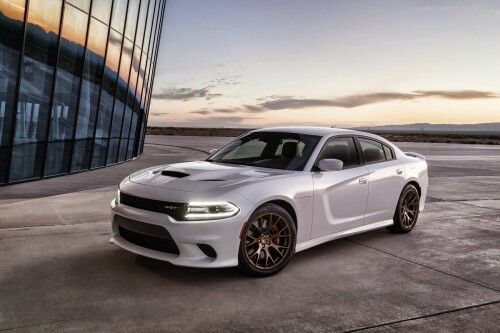 2015 Charger SRT Hellcat, which is equipped with a 6.2 Dodge HEMI V8 engine, comes with 707hp. With the power that is to 60hp higher than the CTS-V, Charger Hellcat has a top speed of 328 km / h (204mph). It may not seem much, but in such a close fight that could decide the winner and losers. Hellcat is the heaviest car of this foursome, with 2068ks (4,560 pounds). Weight could be the “Achilles heel” for the Charger. Dodge grappled with this problem using Billstein suspension with three modes, track, sport and street. There is a hydraulic steering which gives a better feeling in the run than electric, which can be found in other models. While the Dodge Charger SRT Hellcat is the most raw and brutish of these four models, with the price of $ 62,295 makes it very affordable. 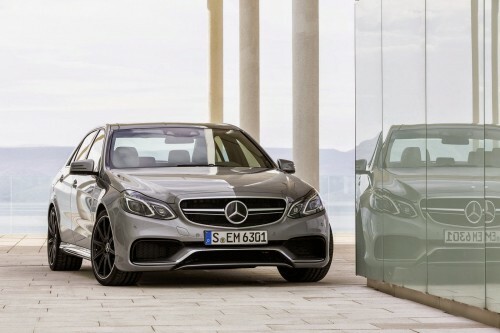 German cars are far more inexpensive: BMW M5 Competition package costs 90,900 dollars, Mercedes E63 AMG S starts at 100,600 dollars. CTS-V has not yet announced prices, but will certainly cost more than the CTS-V Sport model with 420bhp, which is about 60,000 dollars.